We are one of the best Scrap jewelry buyer in Delhi NCR. We gave you cash payment in just 2 min, We also offer home pick-up facility and instant cash payment for your jewelry in Noida, Delhi, Gurgaon, Faridabad and Grater Noida. 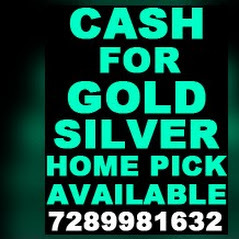 We offer highest price in the city you need to first confirm then contact on Cash for Gold dealer and get more details in Nation Capital Region.